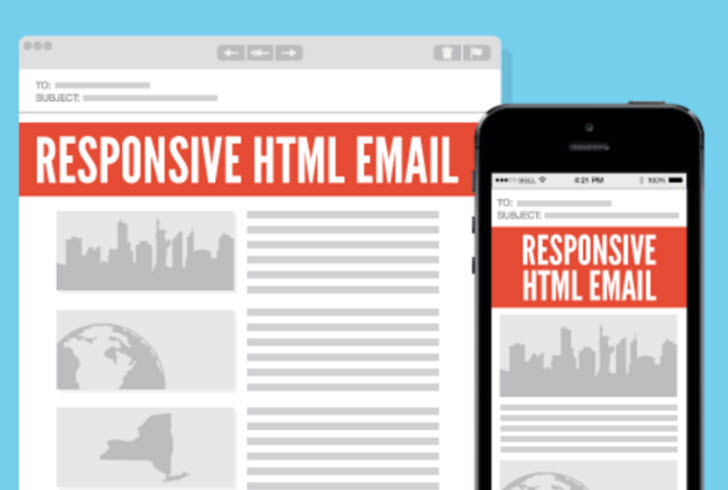 An HTML email is what you typically see from other businesses and organizations. They contain images, colors, formatting, and often start with an email template. Take a look at this example of our Hints & Tips newsletter. 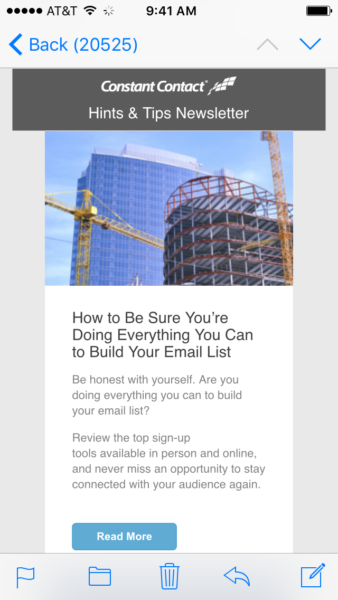 Everything from the logo at the top, to the colors, image, and call-to-action button are only possible in an HTML email. 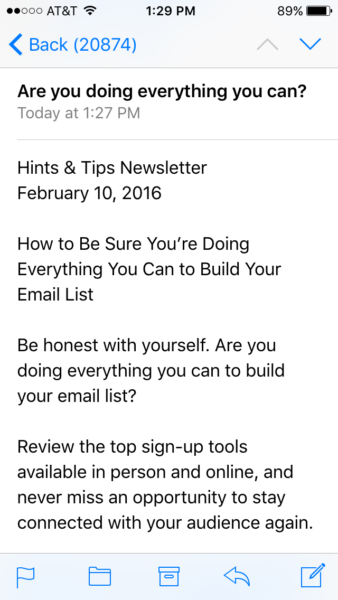 Why do HTML emails give you an edge? Effective emails are easy to act on. With HTML emails, you’re able to format your message so the call-to-action stands out, and add clickable links so readers can easily engage with your message. The simpler you make it for your reader to act the more likely they are to do it. 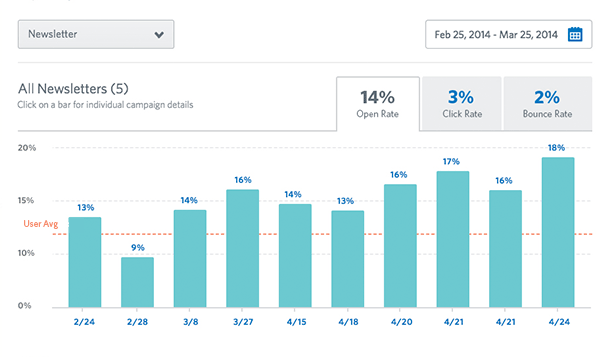 To really know how well your email performed, you need to track your results. 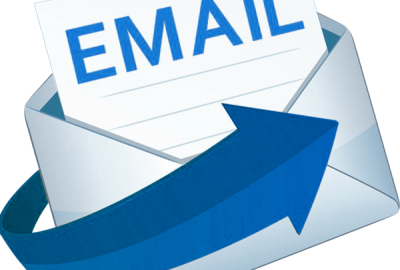 Using an email service to send HTML emails gives you access to email tracking tools and reports so you can measure your audience engagement and determine what information resonates best. Your email readers typically aren’t looking to read paragraph after paragraph of information. They want to scan your email quickly, pick out the main points, and determine what’s important to them. Because visuals are processed faster than text, HTML emails help you get your message across more effectively. Also, with better formatting options you can break up large chunks of text or show information in a graph or table. With an email service like Constant Contact, you can choose from hundreds of professionally-designed email templates and customize your email to fit your business brand. If an email client cannot display the design version for any reason, your contacts will automatically be shown a plain text version. You can also optimize your HTML version to avoid major discrepancies. Avoid common image mistakes. For example, don’t send an image-only email. Image-only emails are commonly associated with bulk spammers and could send your email to the spam folder. A good rule of thumb is to make sure your message still makes sense, even if the images are turned off. To help, add an image description so that readers can understand what they should be seeing.